Happiest Wednesday! I'm excited to show off probably the single greatest outfit known to this world. Why? 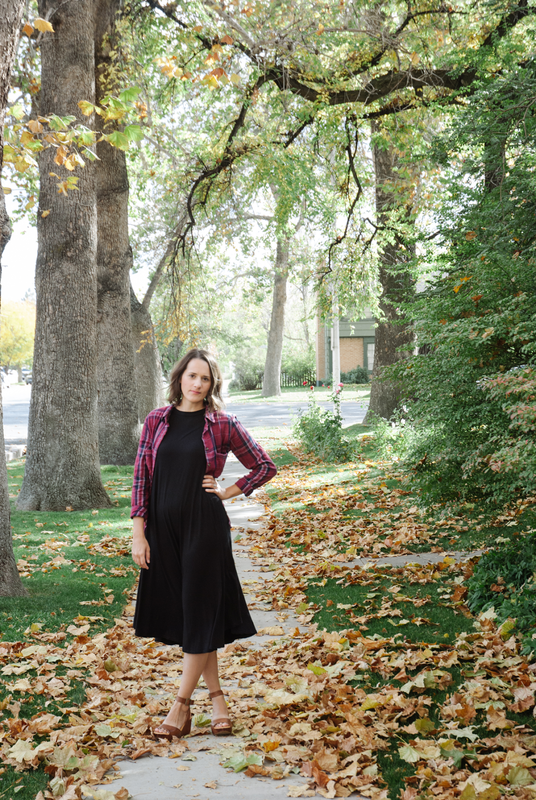 Because a swing dress is like wearing PJ's all day + add that plaid button down and it's all heart eyes. Seriously, if it were possible, I'd wear this combo everyday and never feel bad about it. Comfy, easy, classy. 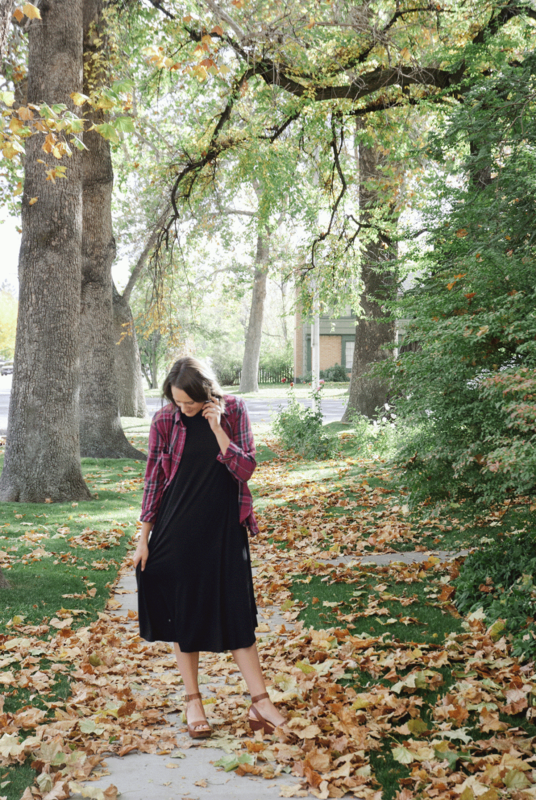 I'm always on the hunt for an outfit that can be warn cleaning the house to the office to the park with the kids. This hits all the marks. Let's also talk about the earrings? As I'm getting older, I've found that my skin is growing more and more sensitive to jewelry. The other day my neck had a rash from the necklace I wore. Which is a real bummer because I've never had a problem before. 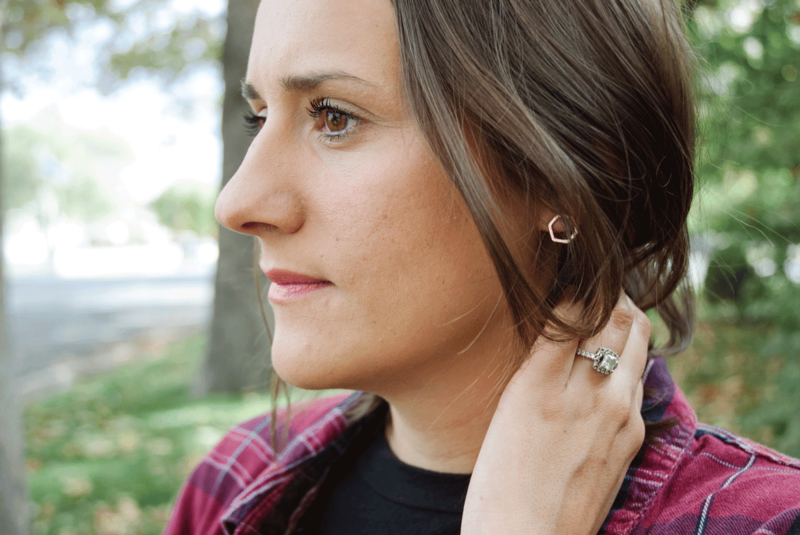 Alas, Truly Kustom has some super creative earrings, necklaces and rings that are inexpensive and high quality. I'm a HUGE fan and can't wait to add to my collection. Last but not least, let's chat plaid. Throwing a plaid shirt over a dress isn't something I had considered before this outfit. Here's the deal. As much as I LOVE this dress (like really, really love it) it's just a plain black dress. This means that it can get boring fast, but can have endless variety when paired with the right combos. It's also great to button over a dress and tie around the waist. Endless possibilities!